Our Augusta Today and CityStink.net group had limited representation at the January 30, 2012 meeting of the City of Augusta’s Finance Committee when several commissioners roasted the City’s outside lawyer, Jim Plunkett over the Tee Center parking deck agreements with manager Augusta Riverfront LLC. However, one comment reported by WJBF’s George Eskola struck home. “We’re supposed to be in a partnership but I’ve never seen partners treated as we’ve been treated in these issues accusing people of doing things wrong we don’t operate like that,” said Paul Simon who’s company Augusta Riverfront LLC owns the Marriott. The comment sent me looking for the partnership agreement for the Tee Center that Mr. Simon was talking about. Here is what was found. Better said, here is what I didn’t find. The Augusta Commission has only approved one document that might be seen as a “partnership agreement” for the Tee Center in the form of the Management Agreement Term Sheet (*click to view). It is UNSIGNED AND UNDATED, but was included in the package of documents when the Tee Center was approved by the Commission on August 21, 2007. After the August 2007 meeting, the only later action was at the called meeting of the Board of Commissioners in early December 2009 where the Commissioners authorized the Mayor to execute the Tee Center Construction Operating and Reciprocal Easement (CORE) Agreement in anticipation of beginning construction. Seeing that as being the partnership agreement I submitted a Georgia Open Records Request to the Augusta Law Department for the executed agreement. They didn’t have it. Deke Copenhaver NEVER signed a CORE agreement. It doesn’t exist. Yes, you read that correctly. The partnership for the $50 million Tee Center and Parking Deck complex does not exist! What does exist has some really shocking provisions that I think should have Augusta demanding big money from Mr. Simon’s LLC! The existing CORE agreement was not canceled or superseded by a more recent partnership deal as far as we can tell. What does this signed and executed agreement say? Page 13 has a whole bunch of wording that makes Augusta Riverfront LLC responsible for all manner of construction and maintenance cost throughout the term of the agreement (*Click here to view). 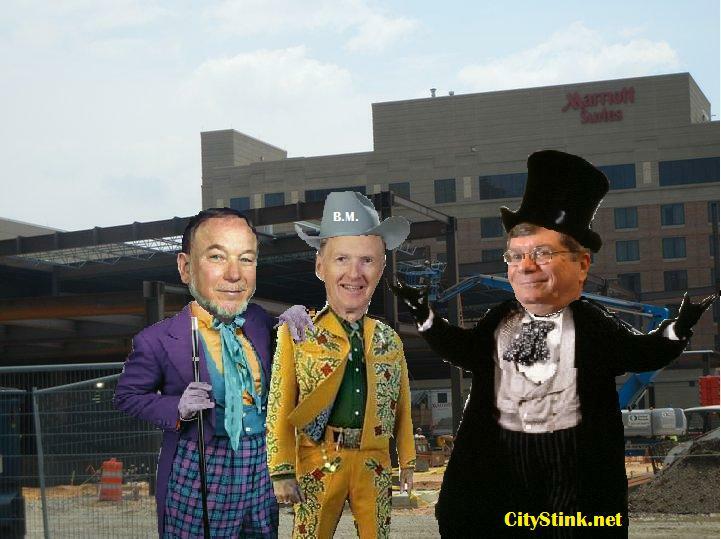 If the signed and executed CORE agreement for the Convention Center puts responsibility for HVAC operations within the hotel upon the hotel owners and the 2007 Term sheet does the same for Hotel capital costs, why hasn’t the Commission, Mayor and Fred Russell demanded that Augusta’s partners pay these costs? Where is our $399, 083? Where is the partnership agreement? Does Fred Russell mean to tell us that they built a $50 million complex using public funds with no partnership agreement? How can it be legal to build a publicly funded project like this on unsigned, undated documents? Tagged Augusta Politics, Investigative Reports, Lori Davis, TEE Center, TEE Parking Deck Saga.